Wearing dupattas is so passe! 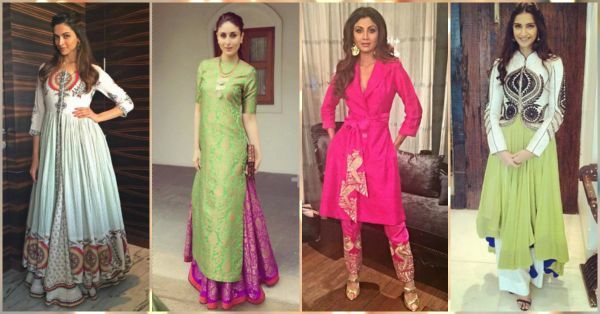 It’s time to revamp your Indian outfits with one of these exciting options! Now have one less thing to worry about when you strut out in your Indian avatar. 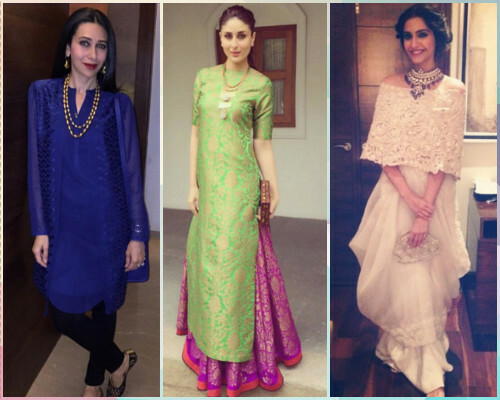 These celebs show us just how you can rock the dupatta-less trend! 1. Get The Capes Out! 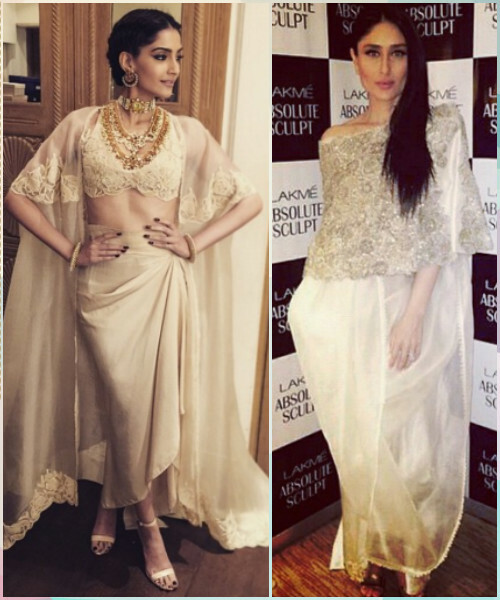 Image Source: Rhea Kapoor On Instagram, Kareena Kapoor On Instagram Yes, more and more people are switching over to capes instead of the dupatta - and why shouldn’t they? It’s almost like a dupatta but stitched at the shoulder, so once it’s put on, you can walk around carefree. You can team this up with your anarkalis, lehengas or even shararas. Go for a sheer one if you want to show off the bodice a bit more! 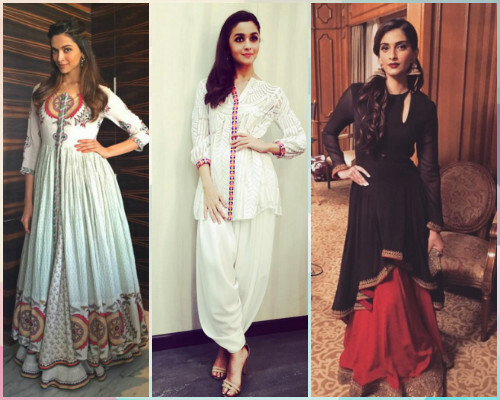 Image Source: Alia Bhatt on Instagram, Rhea Kapoor on Instagram, Deepika Padukone on Instagram Experiment with different styles of necklines and bodice where you don’t really need to carry a dupatta. Take some inspiration from these celebs and get that look. A high Chinese collar always looks elegant and you don’t need that dupatta! Try cuts that flatter you but keep them a bit more contemporary! 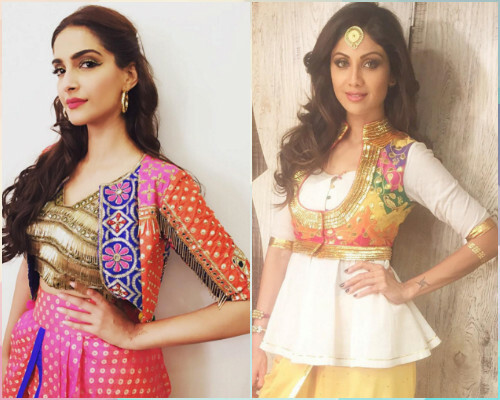 Image Source: Sonam Kapoor On Instagram, Shilpa Shetty on Instagram Short jackets, waist coats or coatees are good add-ons to give your outfit that edge, you can go for an embroidered one or a printed one - either way, taking the attention towards the centre of your outfit is a good idea! You can transform anything to look more funky with this one piece. Take cue, ladies! 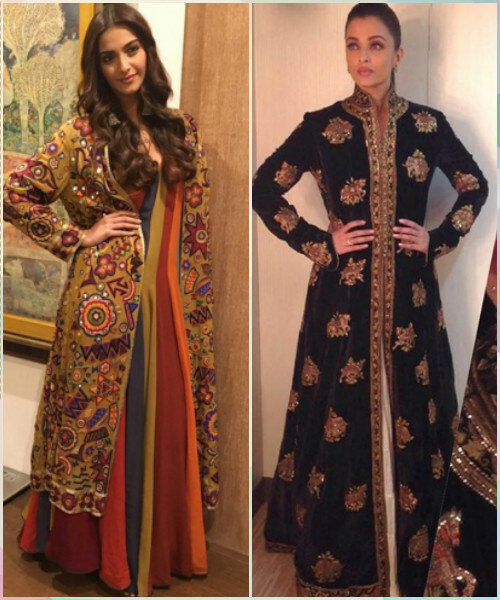 Image Source: Rohit Bal on Instagram, Namrata Soni on Instagram If you want to give a regal vibe to your look, try teaming your skirts or anarkalis with a long jacket. You can go for a heavily embellished one or even a sheer one! This piece looks phenomenal. You’ll never turn to the dupatta again, once you’ve mastered the art of wearing this magical fashion item! Get your old skirts and plain kurtis out to add some of the drama! Image Source: Rhea Kapoor on Instagram, Kareena Kapoor on Instagram, Karishma Kapoor on Instagram Get hold of some pretty bold necklaces and wear them with your round neck or crew neck kurtis or blouses. Borrow some traditional jewellery from your mother and she’ll show you just how you can amp up your look to make that glamorous move at the party! This has to be our go-to product when you really want to ditch the dupattas! 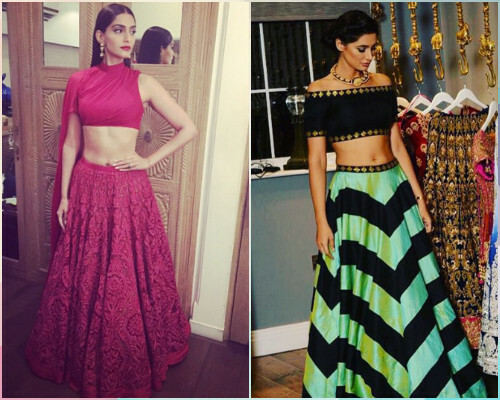 Image Source: Sonam Kapoor on Instagram, Nargis Fakhri on Instagram Pick a cropped top from your favorite fashion brand and team it with your skirts. Get a more embellished one so that it looks equally snazzy. This way you can go for a more subtle but sophisticated look! We totally want you to get creative and go for something unconventional! Just team this up with some traditional jewellery and you are ready to create some magic!